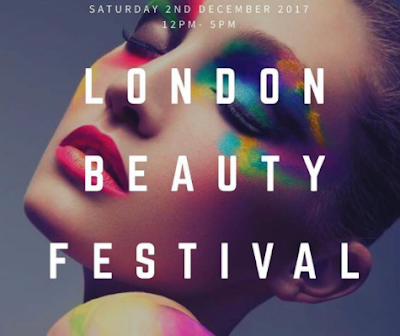 If you are the type who loves to discover new trends, to try out the latest beauty brands and to be the first to know when a niche beauty product hits the market then on Saturday 2nd December you need to cancel everything you are doing to be down at ‘The London Beauty Festival’ taking place at The Crowne Plaza, Hanger Lane, London! This free entry annual beauty festival was created with the great motive of “Celebrating British Niche Beauty Brands” and giving these amazing new brands a platform to expose their products to a wider audience. International Celebrity MUA & Beauty Influencer Maryam Taqi is one of London Beauty Festival’s main sponsors alongside Beauty in Dubai and more and the event will also feature 20+ well known VIP’s said to include some of the biggest bloggers in the UK. With all stands completely sold out for this event guests will have a jam packed day discovering a wonderfully unique selection of niche beauty brands, while learning, shopping, sampling and networking, not to mention some great competitions and prizes to be won on the day from various sponsors and a complimentary mocktail for guests upon entry. On the day guests will also find attractions including a LIVE hair demo held by a Celebrity Hair Stylist, a LIVE Makeup Demo held by a Celebrity Makeup Artist, and of course the chance to meet and greet top beauty bloggers and makeup artists, many of which you no doubt already follow online! Well we say what a great cause! So make sure that you add this to your diary now and get down to the London Beauty Festival this Saturday 2nd December 2017 at The Crowne Plaza, Hanger Lane W5 1HG from 12pm-5pm and enjoy what is set to be a great day for all things beauty!